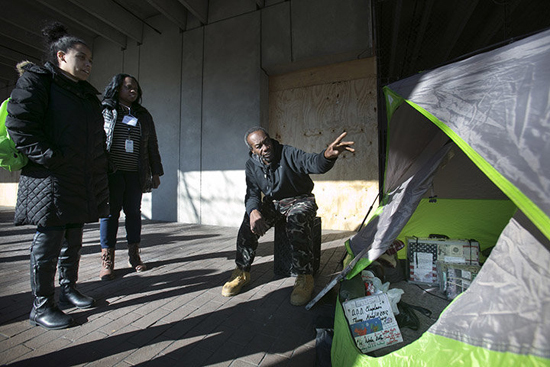 Trenton, New Jersey —- The Mercer Alliance to End Homelessness unanimously approved the nomination of Pastor Rupert A. Hall, Jr. to its Board of Directors at their meeting on November 14, 2017. Pastor Hall has a Juris Doctorate degree from Rutgers School of Law and a BS degree in Economics-Finance and Accounting from University of Pennsylvania – The Wharton School of Business in Philadelphia. Pastor Hall current serves the leader of the Turning United Methodist Church in Trenton New Jersey. “Pastor Hall provides the Mercer Alliance Board with a spirit of community activism from his pastoral leadership at Turning Point United Methodist Church, and his valuable experience in the legal and business fields. He has demonstrated an avid interest in addressing issues of poverty and homelessness and a desire to work to lift the prospects of the most challenged citizens of our community”, said Frank A. Cirillo, Executive Director of the Mercer Alliance to End Homelessness. Trenton, New Jersey —- Mercer Alliance to End Homelessness received a $25,000.00 grant from the Princeton Area Community Foundation, the community foundation serving Mercer County and central New Jersey. Mercer Alliance to End Homelessness, which was one of 15 organizations to receive a Community Impact Grant from the Community Foundation, will use the grant in support of ending chronic homelessness in Trenton and Mercer County. Grants totaling more than $590,000.00 were awarded to local nonprofits for program and operating support. “The Mercer Alliance is honored to have been awarded a generous $25,000 grant from the Princeton Area Community Foundation. This will allow us to continue to build upon our ground-breaking work to end homelessness in the Trenton/Mercer Community”, said Frank Cirillo, Executive Director of the Mercer Alliance to End Homelessness. “This year the Alliance will use the funding to focus on unstably housed and homeless youth between the ages of 18-25, particularly those known to the child welfare and juvenile justice system. In addition, we will work to expand housing resources for seniors 55 years and older,” said Cirillo. Founded in 2004, the Mercer Alliance to End Homelessness is a public-private partnership of the county’s business, government and the nonprofit sectors. Its mission is to develop and implement strategies and systems to end homelessness in Mercer County through permanent housing. Utilizing Housing First policy, the Mercer Alliance has developed systems that have become State and national models for ending homelessness for families, singles, and veterans; particularly those experiencing chronic homelessness. As a result of these initiatives singles homelessness in the Trenton/Mercer area has been reduced by 63% compared to the State average of 43% and the national average of 31%, and ended veterans’ homelessness in 2015. Family homelessness has been reduced by 74% compared to the state average of 58% and the national average of 18%. As impressive as these accomplishments are, there is still a great deal of work to do to prevent and end homelessness, and to ensure that individuals and families experiencing homelessness are rapidly rehoused and can access the necessary resources and services to succeed. Building effective systems that identify and maximize community resources, promote collaborative efforts, and creative solutions are essential to meeting these challenges. The Mercer Alliance is extremely grateful to the Princeton Area Community Foundation for continuing to recognize the unique and impactful role the Mercer Alliance plays in combating and ending homelessness, and the value of supporting its collaborative system building initiatives through the generosity of their grant funding.